If you want to begin a career in bookkeeping and accounting, this Diploma is the perfect solution for gaining the very highest quality skills. Every type of organisation needs to manage its money, so fully trained finance professionals are highly sought after. 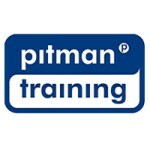 You will learn a wide range of skills including essential manual and computerised bookkeeping skills, leading to a widely recognised Pitman Training Diploma. Unlike many other bookkeeping courses, ours is based on a self-study format. This gives you the flexibility to continue with your training whenever and wherever it suits you you can start at any time and study when it suits you. You can also be confident that, should the need arise, our course advisors will be on hand to provide extra support and guidance. This comprehensive diploma covers subjects including double-entry bookkeeping, using the Journal to correct errors, as well as to record year end adjustments prior to preparing the final accounts of a business, Sage Accounts and Microsoft Excel, so you can use spreadsheets to a good business standard. Carear Path Once you've gained essential bookkeeping skills you can look to further your career towards roles such as Accounts Clerk, Accounts Assistant, Accounts Manager and ultimately a fully qualified Accountant.